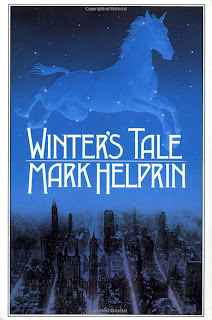 Fringe Books: What Young Olivia Was Reading in "Subject 13"
The book that young Olivia is reading in "Subject 13" is called Winter's Tale by Mark Helprin. The most interesting part of the book is name of the main character Peter Lake! FYI, the paperback edition has a different cover, but if you want the exact same book Olivia is reading, hardcover versions with the same cover are available in the Amazon used books section. I think the reason it was used is because Akiva Goldsman is adapting the book into a movie. So we shouldn't read too much into it.